Dr. Roach, from Midway, KY, did his undergraduate work at Duke University, graduated from the University of Kentucky College of Medicine in 1978, and did a Family Medicine residency in Tallahassee, Florida. He is board certified in Family Medicine and Integrative Holistic Medicine, is Associate Professor at the University of Kentucky College of Medicine, and has published research in nutrition and cancer markers. He is the state chairperson for the Kentucky Lung Cancer Research Board, and is on the national test committee for the American Board of Integrative Holistic Medicine. As state Chairperson for KY ACTION, he was responsible for getting Rupp Arena, home of Kentucky basketball, smoke-free. In 1997, he was named the Central Kentucky Leader in Healthcare by the Lane Report. In the past ten years he has attended 33 national conferences relating to integrative holistic approaches to healthcare, and has been a speaker at national conferences in Florida, Kentucky, and Connecticut. In 2007, he founded the Midway Center for Integrative Medicine and has attracted patients from 15 states. He is happily married and has two children, a son who is a meritorious assistant prosecutor at Washington Courthouse, Ohio and a daughter who is the scheduler for the Governor of Kentucky. ULTRACLARITY - Surprising Stories of Healing: Lessons for an UltraBrain, UltraLife & UltraDeath, which will be completed next year. Bernarda Zenker, M.D. is a Board Certified Family Physician through the American Board of Family Medicine. She received her Medical Degree from Louisiana State University, New Orleans and completed her Family Medical Residency in Oklahoma City. Dr. Zenker completed her Fellowship in Integrative Medicine from The University of Arizona. Dr. Zenker is an active member of the Institute for Functional Medicine. She opened her own independent medical clinic, Trinity Integrative Medicine P.A. in Burnsville, MN in May, 2010. Dr. Zenker utilizes nutritional therapies, when possible, to assist traditional medicine in the treatment and prevention of chronic diseases. To her 20 years of family practice experience using traditional medicine, Dr. Zenker has added expertise in non-Western alternative, nutritional and complementary treatment for enhancing personalized medicine. Her methodologies include neurobiological nutrient testing, methylation genetic testing and Lipoprotein Particle determination to address health needs. Dr. Hill is the Clinical Director for Complete Care Wellness Center and the Wellness Coordinator at Specialty Healthcare and Wellness, both of which are multi-disciplinary clinics in Houston, TX. He is a Doctor of Chiropractic and a Board-Certified Diplomate of the American Board of Clinical Nutrition. He has been practicing since 2003 with a clinical focus on the use of science-based natural therapies for the management of chronic diseases. Dr. Hill received his Doctorate from Texas Chiropractic College and his Master in Public Health from the University of Massachusetts - Amherst. He has been a regular lecturer at Texas A&M Health Science Center College of Medicine and University of Texas Medical Branch – Galveston, where he instructs students on the merger of nutrition into mainstream medicine. Dr. Hill continues his consulting position to the nutrition industry where he offers his expertise in the development of products and strategies to improve patient outcomes. Dr. Hill routinely lectures on topics core to functional medicine emphasizing the importance of research-based interventions. 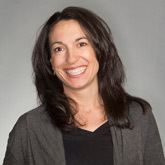 Pauline Weissman, MS, CNS is a clinical nutritionist in Central Connecticut. She earned her Bachelor’s Degree in Business Administration from the University of Massachusetts in 1991. She also earned a Master’s Degree in Human Nutrition from the University of Bridgeport, CT in 1999. She is certified by the Certification Board of Nutrition Specialists, and is also a member of the American College of Human Nutrition. She has extensive experience with a wide variety of acute and chronic issues directly related to nutritional imbalances, deficiencies and wellness. Her focus is on natural approaches to wellness and her method of nutrition therapy is successfully reached through food, supplement and lifestyle programs designed to fit her clients individual needs. She maintains a private practice in West Hartford, CT, is the nutritionist on staff at West Hartford Yoga and also gives workshops and lectures at a variety of venues in the Greater Hartford Area. Danielle is a Registered Dietitian who earned her bachelor’s degree in business administration from Central Michigan University and also has a Master’s degree in nutrition and food science from Wayne State University in Detroit, Michigan, and is a Board Certified Specialist in Sports Dietetics. She was the Director of Performance Nutrition for the Pro/Elite division of EXOS (formerly Athlete’s Performance Inc.). Her mission is to maximize athletic performance and recovery potential through the integration of smart and effective nutrition, supplementation, and culinary solutions. Danielle is deeply committed to working with individual athletes and teams working with a wide and diverse range of athletes from collegiate football players, soccer players to professional baseball players. She has enjoyed tremendous success especially with the San Francisco Giants who won World Series titles in 2012 and 2014 with Danielle on board. During that time, she also worked with the U.S. Men’s National soccer team, traveling with them to the 2014 FIFA World Cup Finals in Brazil. She also worked with the Arizona Coyotes Hockey & Arizona Cardinals Football teams to help upgrade their nutrition, culinary, supplementation deliverables. 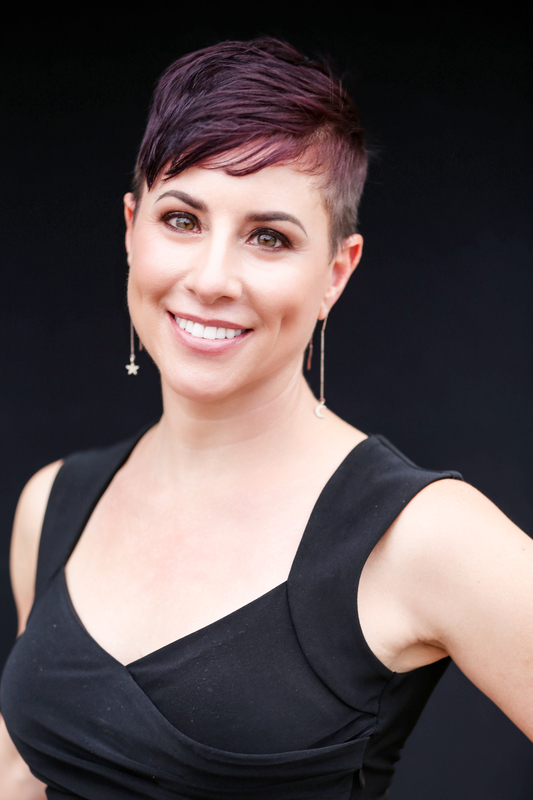 Danielle works closely with the performance and medical staffs to set up evidence based recovery strategies and solutions through whole food options as well as smart and safe supplementation. Her duties when working with team also consisted of working closely with hotel and team staffs to create flavorful menus and strategic training tables that support the team’s training and recovery efforts. To Schedule a consultation, please click below. "Functional Vitamin, Mineral and Antioxidant Assessment"